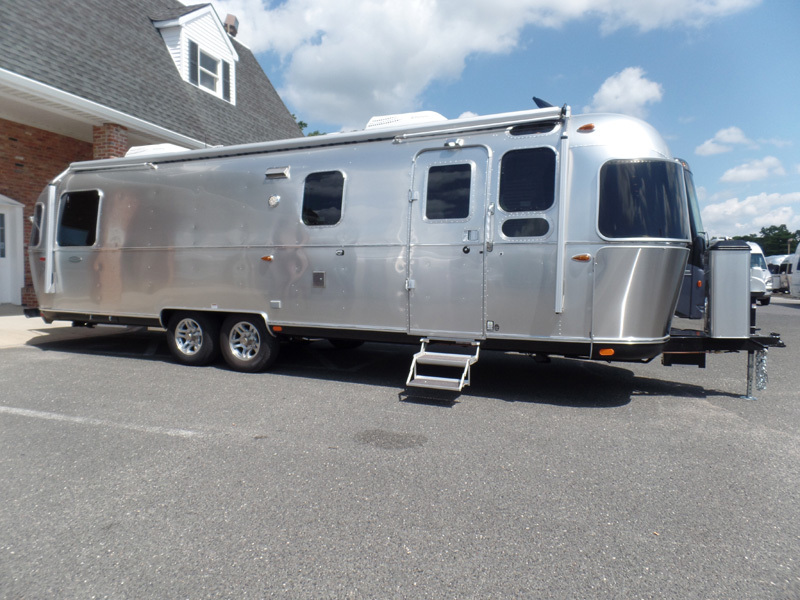 We bought a 2017 Airstream Classic 30! 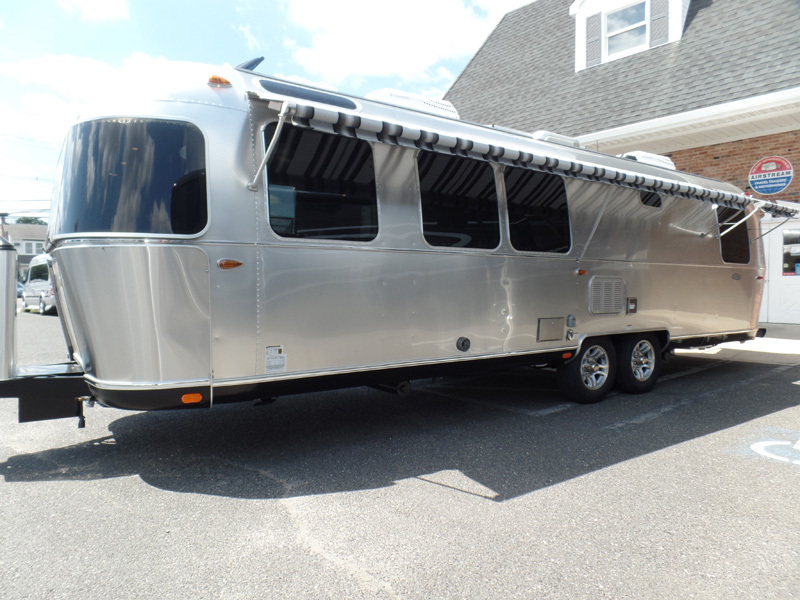 In a few days, we will hitch up our 2015 International Signature 27FB for our third trip north to Colonial Airstream in Lakewood, New Jersey to pick up our new Airstream. 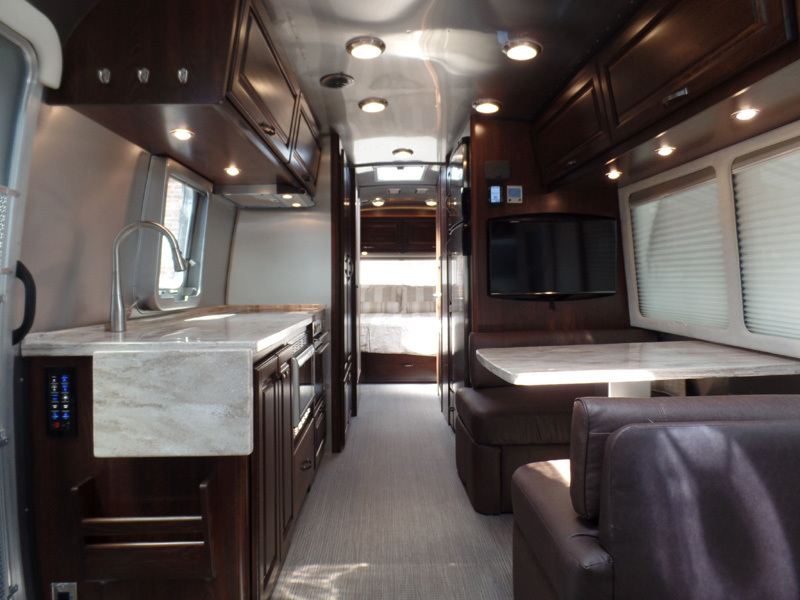 "The Classic is designed for long-term adventurers or full-time living. It’s built for people committed to a life well-lived." 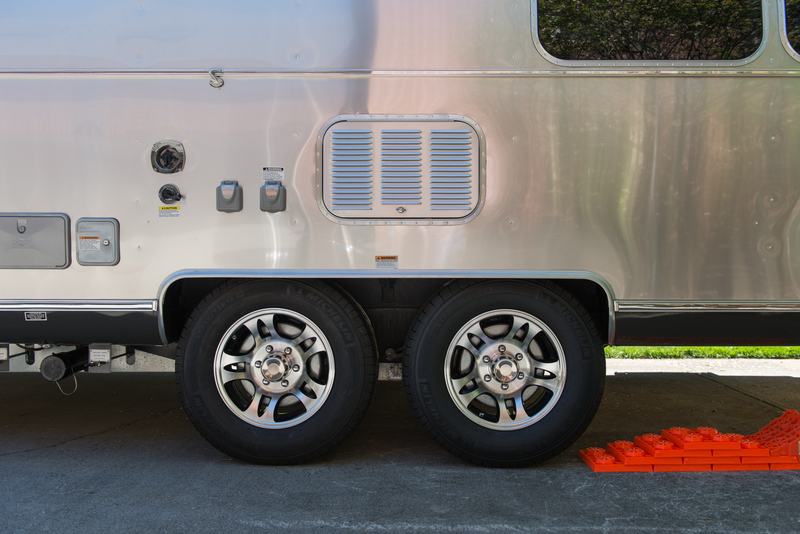 After reading all the positive comments from fellow Airstream owners about the benefits of properly balanced wheels and tires, we decided to order a set of Centramatic Wheel Balancers. 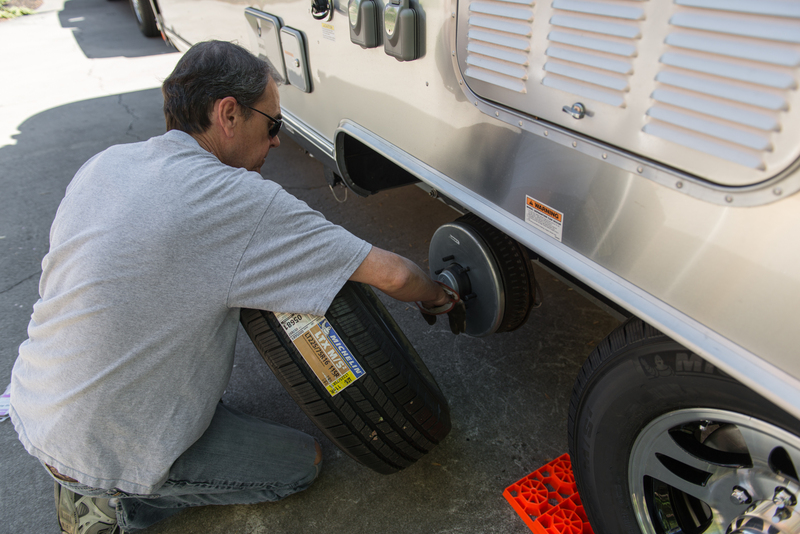 According to Centramatic, wheel balancers increase tire life and improve fuel economy so you can accomplish your goals. Count me in. The balancers are thin metal discs designed to fit between the wheel and hub using the existing bolt pattern. The discs have an expanded ring on the outer edge filled with dampening fluid and hardened alloy shot. By using centrifugal force the free moving weights (durametal and synthetic fluid) sealed in the balancer automatically distributes to exactly where needed, placing the entire wheel assembly in perfect balance. Our new tires and wheels were balanced by Performance Plus TIres prior to shipping so the Centramatics are balancing the entire axel/hub/wheel/tire assembly as one unit. 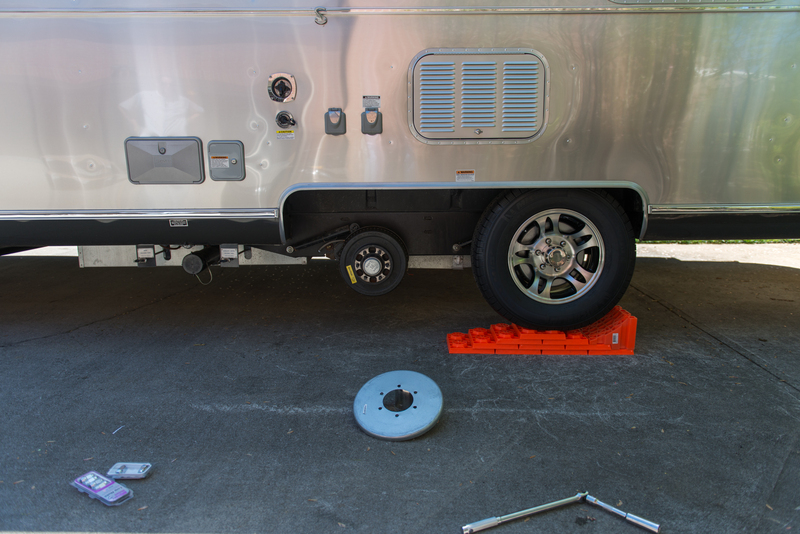 According to the wheel balancer aficionado's on Air Forums, our trailer needed #300-356A plates. As recommended, I called the Centramatic toll-free number to be sure I was ordering the correct balancers for our new 16" Michelin LTX M/S 2 tires with 16" Sendel T-03 wheels and asked to speak with Jerry. 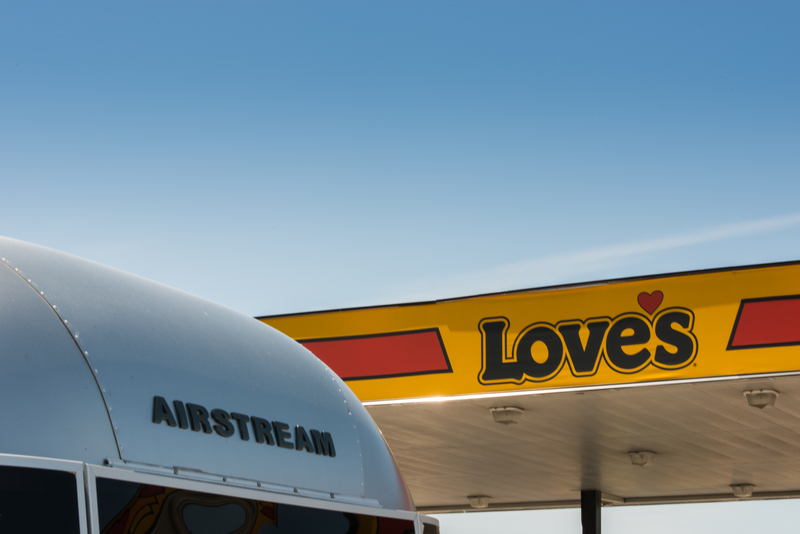 The lady that answered was super friendly and when I told her that I needed to speak with Jerry about Airstream wheel balancers, she said, "Sure, hang on." Jerry listened patiently to my rambling of what I was attempting and said "Yep, you need 300-356A plates. I'll get them to you right away." Two days later a UPS truck was out front with a delivery. Do they work? 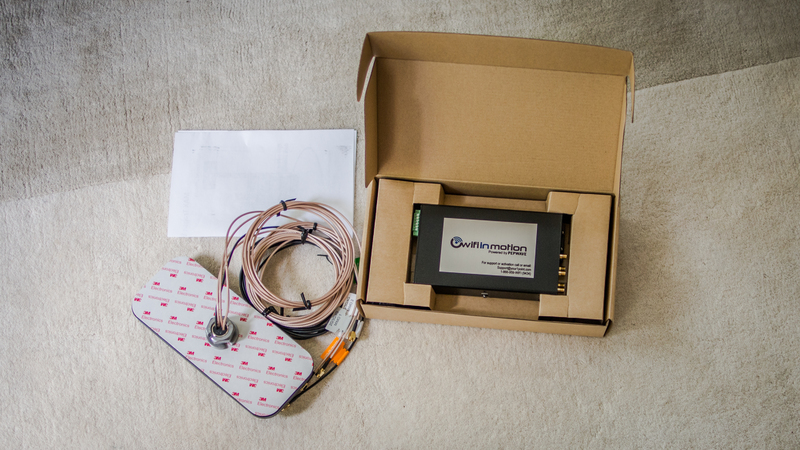 Our intial impression is yes, they work very well indeed. 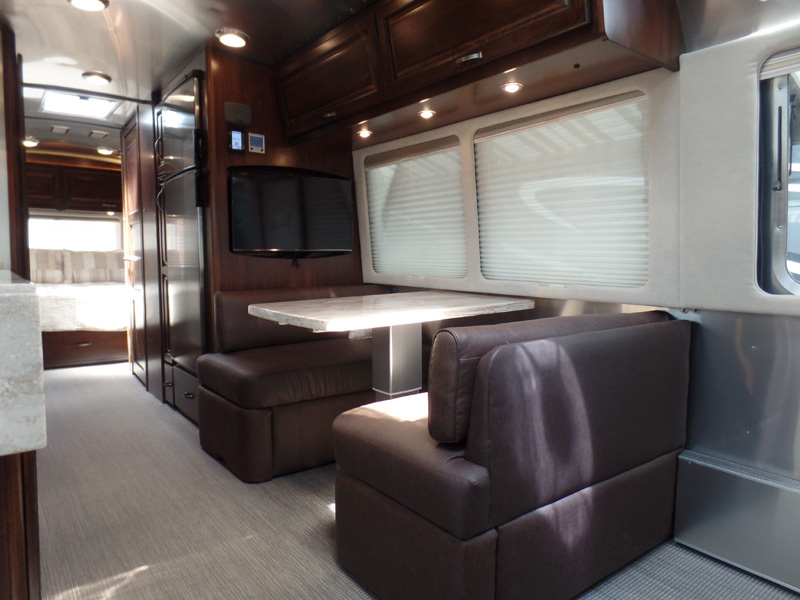 We don't ride in the Airstream while under tow but on our first trip out it was obvious our Airstream was riding much smoother. Nothing was tossed out place during a 1700-mile trip to northern Virginia. That's saying something when one considers the state of the interstate in Virginia. Interstate 81 has deteriorated terribly in the past few years and is easily one of the worst highways we've traveled in some time. The new tire/wheel/balancer setup seemed to handle Virginia's rough roads very well. 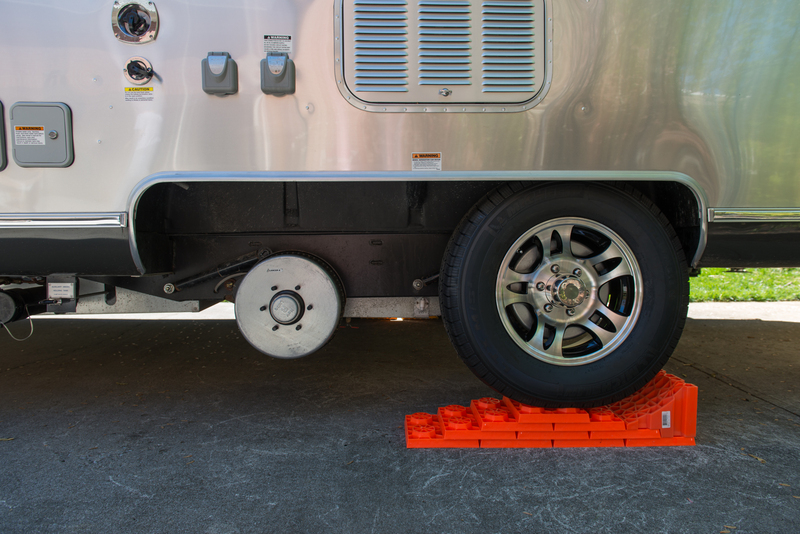 Centramatics wheel balancers are a great product from a very customer oriented company. If the idea of smooth travel sounds interesting, give them a call and ask for Jerry. 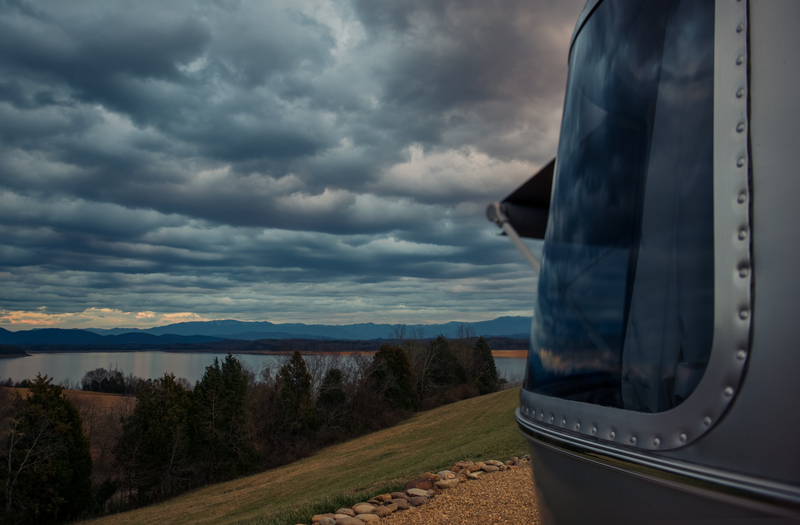 We ended our 2015 local camping season at Anchor Down RV Resort in Dandridge, TN. As we were leaving, the friendly owners and staff joked that opening day was only a couple months away. They insisted that we return and last week we took them up on their offer. 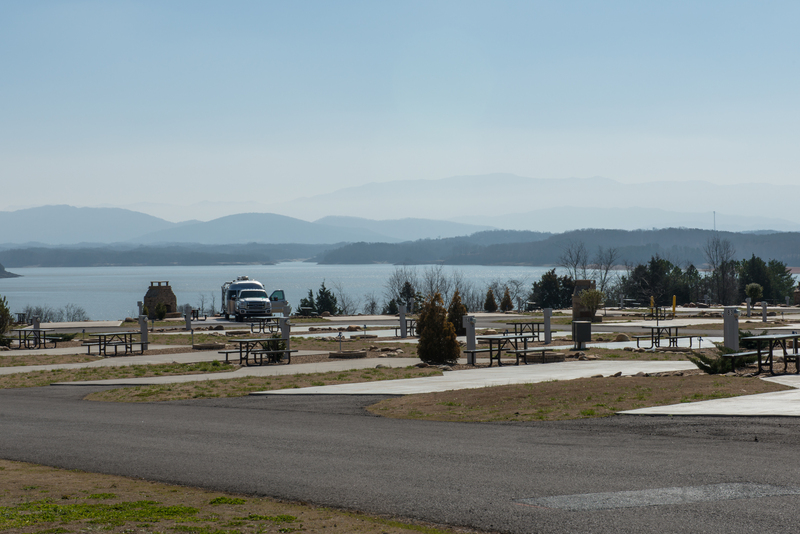 It was a chilly but, beautiful, opening weekend at the park and there only a few other campers around. 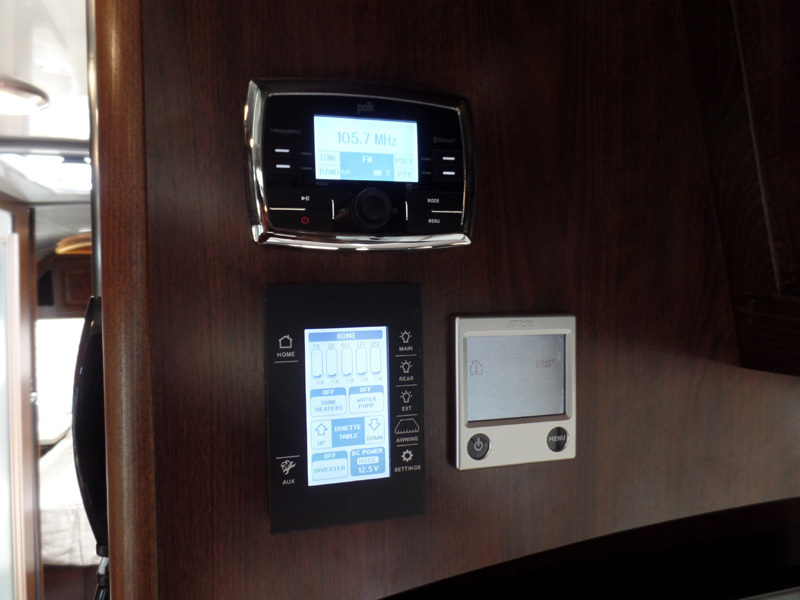 We counted a total of 4 RV's on the lower level including us and handful of others on the upper level. 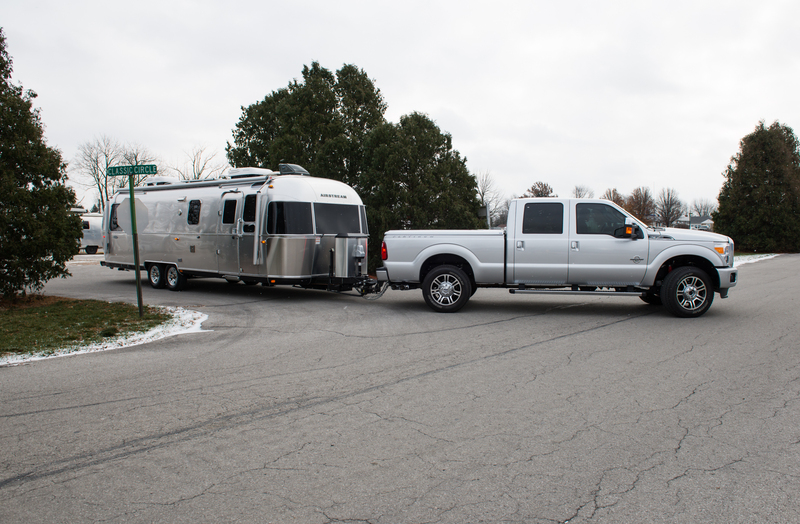 We wanted relax and enjoy the views, but also give our new Ford F-350 Platinum a test run with the Airstream in tow. More on that later. Anchor Down is a wonderful place to visit and kick off another exciting year of travel. For our first getaway in 2016, we picked Site #41. It's our favorite site and the same one we had in the fall. It includes a beautiful stone fireplace overlooking nearby Douglas Lake with spectacular views of the Great Smoky Mountains. The sunsets from Site 41 never disappoint. Thanks Anchor Down for a great start to 2016. See you on closing weekend in the fall.